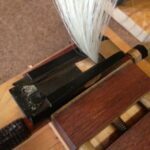 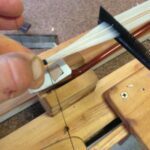 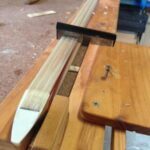 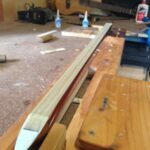 At Bassworks we rehair all stringed instrument bows. 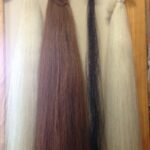 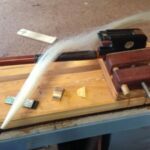 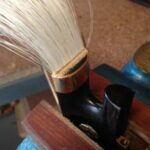 For Violin, Viola and Cello Bows we use first-grade white horse hair, and for Double Bass Bows you can choose from white, black, or chestnut hair. 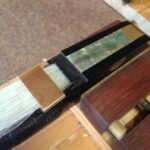 Violin, Viola and Cello Bows are rehaired at $85 per bow. 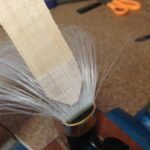 The charge to rehair a Double Bass Bow is $90. 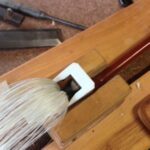 If you live in Adelaide you can bring your bow to our Belair workshop, where we usually rehair on Wednesday and Thursday. 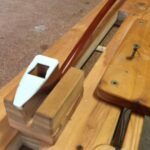 Please send your bow in a postal tube, purchased from the post office, or in a length of pvc pipe. 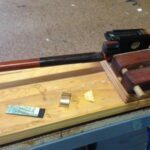 Be sure to pack the bow carefully inside the tube with bubble wrap or padding to keep it secured. 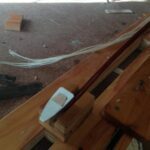 Customer satisfaction is our number one priority so we guarantee all our work. 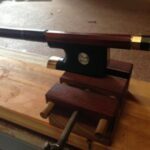 If you’re not 100% happy with your bow after you receive it, please let us know and we will either rehair it free of charge or give you a full refund.